Felicity Blessing never expects to marry—she is neither rich nor beautiful—but she does wish she could be a little less lonely. 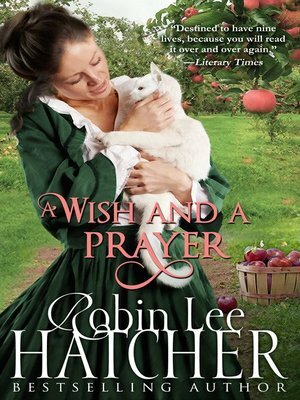 Her prayer is heard and an angel is dispatched to assist Felicity in finding the answer to her heart's desire. Prescott Jones arrives in Appleton, Idaho with plans to build a cannery, find a woman to marry, and settle down. He and his partner have managed to acquire all the property needed—except for a plot of land owned by an old-maid seamstress. With the help of a large white cat named Angel, Prescott sets out to change Felicity's mind. About the cannery ... and about him.